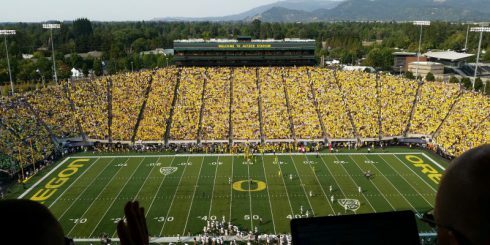 Oregon Duck fans – and Pac-12 fans, for that matter – are sick and tired of hearing about how great the Southeastern Conference (SEC) is. Broadcasters constantly speak about how the SEC is ahead of the Pac-12 in recruiting, quality of play and revenue. Well, that no longer appears to be the case. The absence of an SEC team in the 2015 NCAA Football National Championship Game is one reason to believe there’s change coming. However, it may surprise you to know that the Pac-12 made more money than the SEC and the B1G in terms of total revenue during the 2013-14 fiscal year (FY14), according to Steve Berkowitz of USA TODAY Sports. The Pac-12’s revenue nearly doubled from FY13’s $175 million to $334 million in FY14. 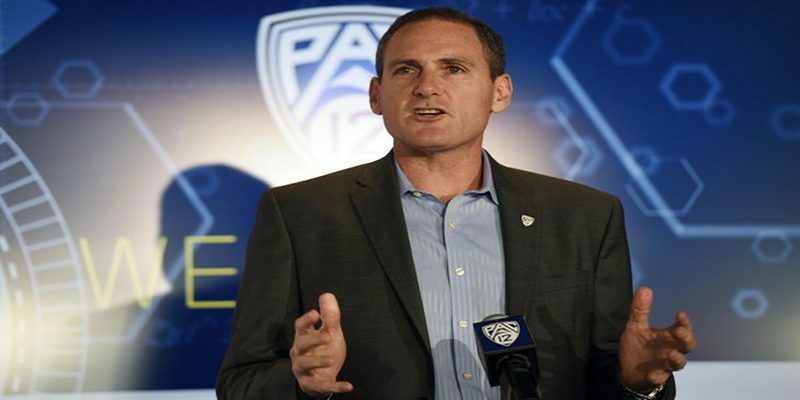 Berkowitz also reported that Pac-12 Commissioner Larry Scott remained the nation’s most highly-paid conference CEO, earning just over $3.5 million in total compensation for the 2013 calendar year. Here’s a breakdown of the Pac-12’s total revenues for FY14: Bowl games $41.6 million, NCAA championships $26.3 million, television and media rights $252.7 million, advertising $9 million, investments totaling around $4.2 million – for a grand total of $333,992,599. For now, the Pac-12 leads all other conferences in revenue. That may change in a few years, due to the SEC’s launch of its own television network with ESPN. However, it’s safe to say that the Pac-12 isn’t content with playing second fiddle to other conferences anymore.